Some people are born creative, and others are born entrepreneurial, and if you are lucky, you get to be a combination of the two! South African entrepreneur and talented jewellery designer, Mary-Jean Treloar, displays both of these traits in huge quantities. 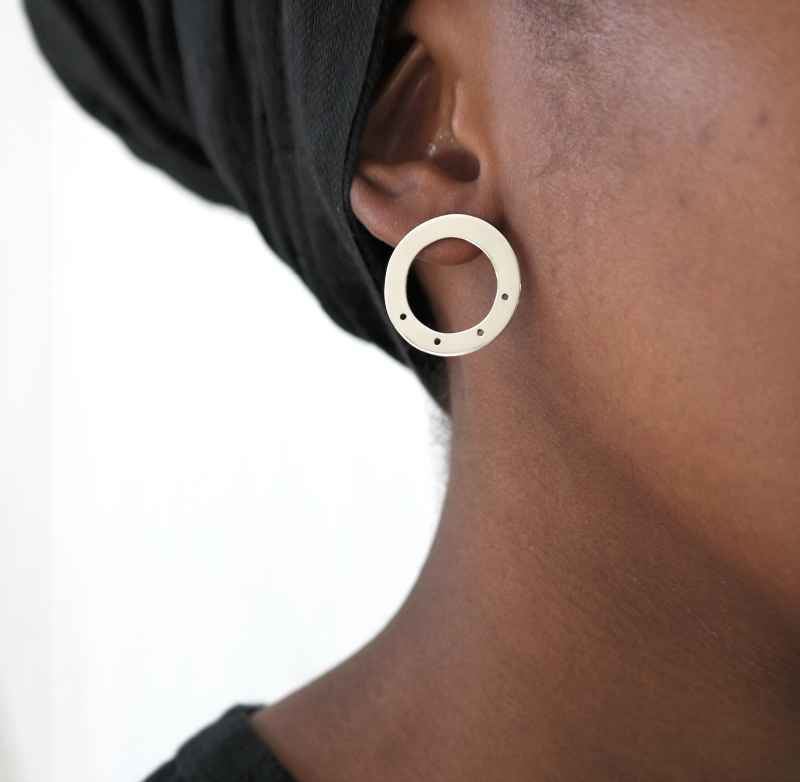 Her highly personal brand, MΛRY JEΛN JEWELLERY, is inspired by the continent she loves and the stories that are woven into the very fabric of society. 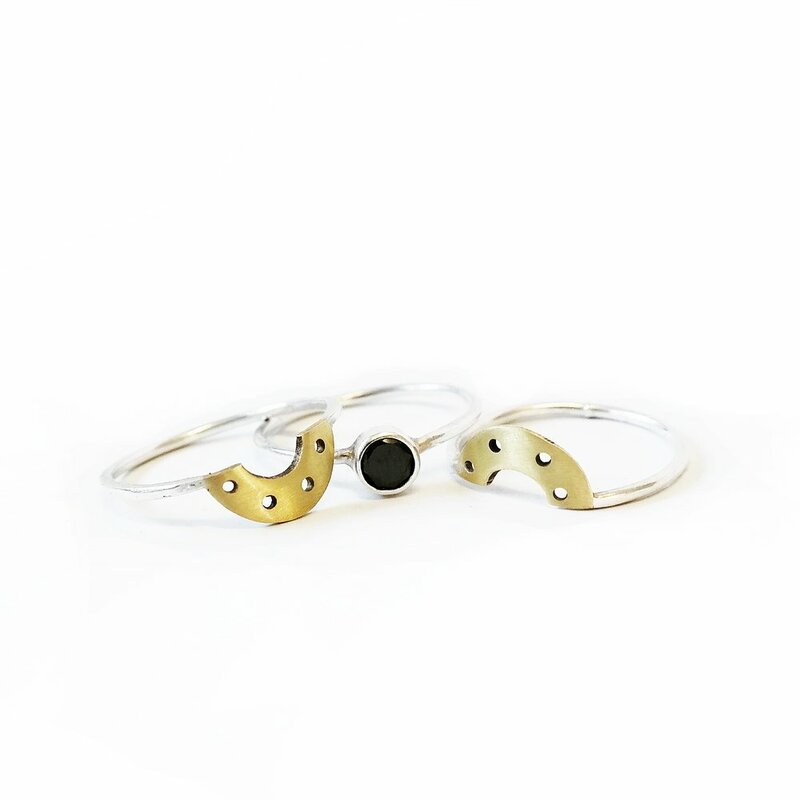 Her unique work is winning fans of great jewellery design both at home and abroad. LoA had the pleasure of talking to this innovative and passionate designer to find out more about her work and her vision for the brand that carries her name. 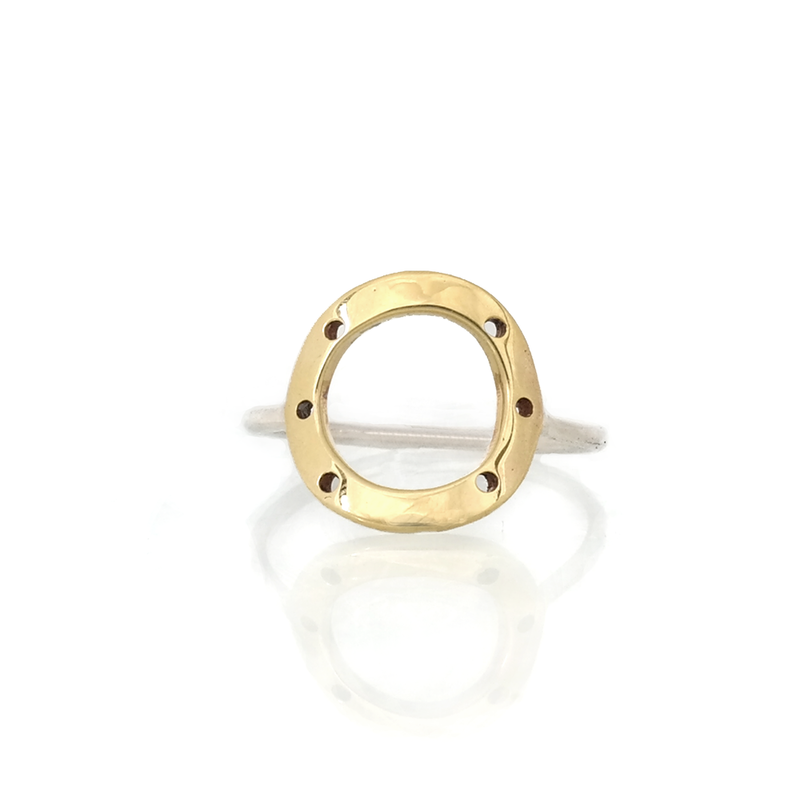 At Mary Jean Jewellery, we design and manufacture fine handmade jewellery that is inspired by patterns and symbols found across the African continent. Our current collection (The Adinkra Collection) is based on and inspired by the Adinkra fabric symbols found largely in Ghana and parts of West Africa. Each symbol has a meaning behind it and so all the handcrafted pieces have within them a story and a uniquely delicate yet bold design. "Our jewellery is truly handcrafted and inspired by the amazing patterns found within Africa. Each piece is carefully made and finished by hand ensuring a high quality product that is both delicate and bold." 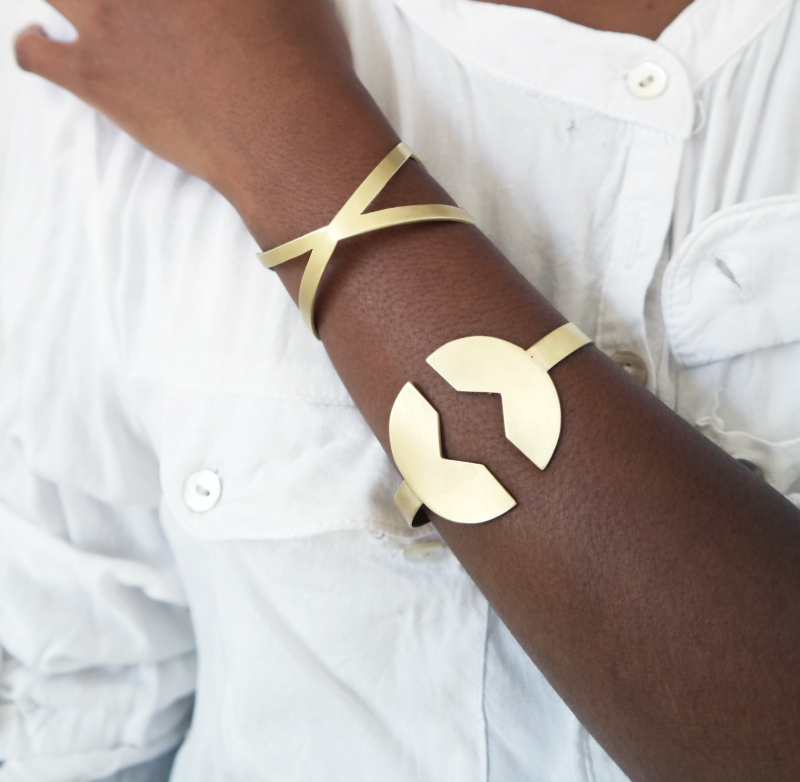 My love of Africa, geometric patterns, design, geology and silversmithing. As well as the desire to spend every day creating and making something new and truly unique. Our jewellery is truly handcrafted and inspired by the amazing patterns found within Africa. Each piece is carefully made and finished by hand ensuring a high quality product that is both delicate and bold. "All the handcrafted pieces have within them a story and a uniquely delicate yet bold design." I grew up in a creative family that has an incredible love of geology and semi-precious gemstones. So from a very young age I started going on many remote family holidays across Southern Africa where we would dig for and find our own gemstones. My father then taught me how to cut, shape and polish them. The lapidary workshop where I cut my stones was doing a silversmithing course where you could set some of your stones into silver and I decided I wanted to give it a try. I instantly fell in love with the art of SIlversmithing! Something in me just clicked and sparked! After school I went on to study a Bsc in Interior Architecture and thereafter I worked for a year at a luxury safari lodge before returning to the Architectural industry. Throughout all this, silversmithing continued to be just my hobby, until 2014, when I just couldn't ignore the fact that it was now my passion! And so I resigned from my job as an Interior Architect and started my first jewellery brand called 'The lucky bean range' that still currently supplies jewellery exclusively to the luxury safari industry. MΛRY JEΛN Jewellery came about last year April out of a desire to develop a personal brand where I could design truly unique, quality handcrafted and African inspired jewellery that could run alongside my other brand, as well as challenge me as a designer and manufacturer. My first creative entrepreneurial memories are from as early as Grade 3 while at Fields primary school in Rustenburg, where I would (without fail) take part in every entrepreneur's day market. I would sell the strangest handmade goods, from candles that I'd made in old painted tuna tins, to knitted pom poms, to homemade oatmeal biscuits. My friend’s dad even supported this streak by ordering biscuits from me for a guest house that he ran, and so by age 8 I was baking in the evenings, planning my packaging, working out my costs and without knowing it, I was grooming my inner entrepreneur! "... by age eight I was baking in the evenings, planning my packaging, working out my costs and without knowing it, I was grooming my inner entrepreneur!" We have just moved into a new collaborative studio and showroom space called 'Gathere' with 4 other amazing creatives in Kramerville, Johannesburg and my hopes are to grow within this space as we are now more accessible to the public. I would like to approach some local and international stockists and grow the awareness around our brand, the concept of our designs, and the value that our handmade artisanal trade carries. It's my hope that this will lead to the growth I need to allow me to employ and train some more amazing team members. The fact that even though the pressures are immense and the hours are long, I have gained more freedom. The freedom to make decisions. The freedom to make mistakes and grow and the freedom to take the paths I want to walk. But most of all it has to be the realisation that having this freedom is a wealth that surpasses any monetary value or possession. I also cherish the great moments one experiences and struggles you overcome while growing as a business, a business woman and a person. 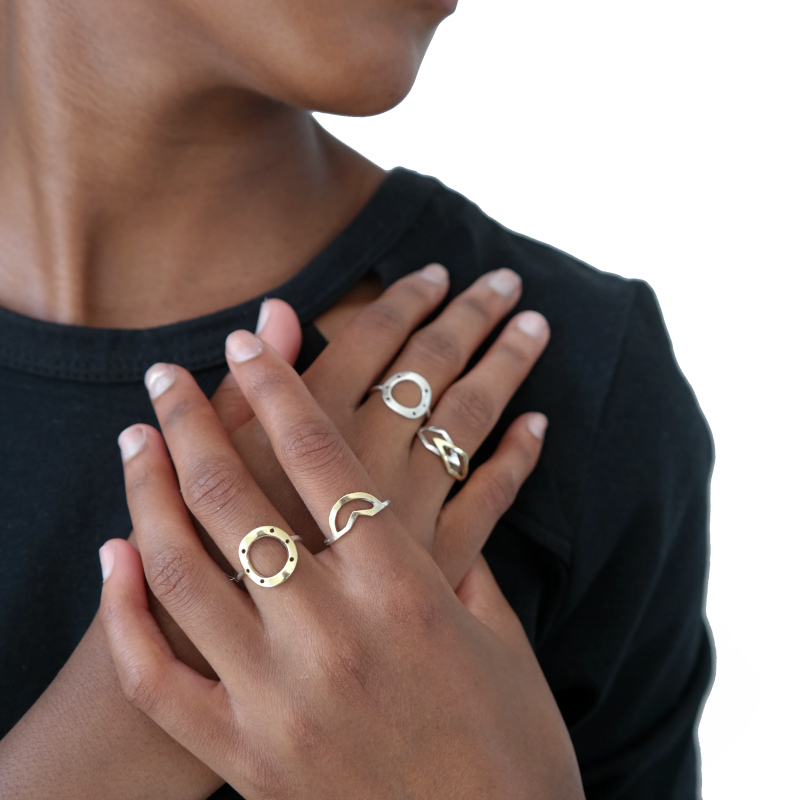 "Our current collection (The Adinkra Collection) is based on and inspired by the Adinkra fabric symbols found largely in Ghana and parts of West Africa." 1 - Doubt is your biggest enemy! Keep positive by surrounding yourself with positive and encouraging people that believe in you, you are going to need to lean on them a lot! 3 - Celebrate every little victory. There are going to be a lot of difficult and tough steps to climb along the way but when you do accomplish something, however small, be sure to celebrate it! This carries you through the tough times and brings joy into your entrepreneurial journey.